How can coaches and leaders facilitate behavioural change? Change is hard. Knowing what we should be doing differently is one important step, but changing behaviour is another big hurdle for most people. Coaching helps people to examine what needs changing in their personal and professional lives, and also plays an important role in facilitating the necessary behaviour change. This guide briefly describes several approaches to behavioural change and outlines how coaches can use these to support the personal development of their coachees. The knowing–doing gap (Pfeffer & Sutton, 1999) seems to be one of the greatest challenges that learning and development professionals face. Indeed, knowing what to do is one important step, but shifting one’s own behaviour is another big challenge for the majority of people. In order to initiate behavioural change, whether we are trying to stop smoking, improve our teamworking skills, or progress in our career, we need to understand the relationships between our knowledge, attitudes and behaviour. Within lies the answer to why behavioural change is so hard. Indeed, a multidisciplinary literature review across the fields of psychology, sociology, economics and anthropology identified 83 theories that all explain in a different way how behavioural change might happen (Davis et al, 2015). How does coaching facilitate behavioural change? In 1913 John Watson wrote that, when we are born, our mind is a blank slate. The behaviourist movement believed that only environmental factors influence our behaviour and learning. Therefore, all our behaviour is the result of our experience. For example, if we are praised or rewarded for a certain action, we will experience this as positive and will continue to behave in this manner. On the contrary, if we were punished for the very same behaviour, we would avoid this behaviour in future. This described mechanism is known as classical conditioning. According to the behaviourist approach, if a coach wants to enable a coachee to change certain behaviour, they need to create the conditions where the coachee engages in further learning regarding this behaviour (operant conditioning). Planning and facilitating small, achievable changes in behaviour that result in positive outcomes will have a big impact on the coachee’s ‘relearning’ of positive behaviours. This approach takes the view that our behaviour results not from external realities but from the thoughts we have about those realities. In coaching, this approach uses cognitive, behavioural, visual and problem-solving techniques to initiate change (Palmer & Szymanska, 2007). In contrast to the behavioural approach, the idea is that we can change our behaviour by changing the way we think about ourselves and the environment. This approach highlights the link between emotions, cognition and action, which needs to be addressed in coaching if we want to achieve change in a person’s behaviour. Carl Rogers (1959), the founder of the person-centred approach, stated that people are self-determined and want to fulfil their potential by striving to grow. As individuals are self-determined, they have internal resources to change their behaviour and are therefore fully capable of developing themselves. However, there are three conditions that facilitate this self-determined growth. It is the role of the therapist or coach to provide a supporting environment that creates these conditions so that the individual can draw on their internal resources. The three conditions are: unconditional positive regard, empathy and genuineness. The coach needs to show these in order to establish a safe, genuine and constructive environment in which the coachee can explore their own development. 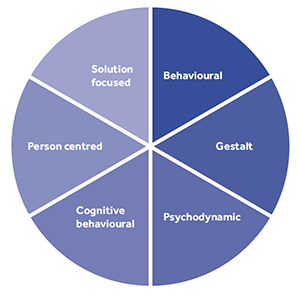 The gestalt approach is the root of gestalt therapy, pioneered by Fritz Perls in the early 20th century in Germany, which is widely used today in coaching (Spoth et al, 2013). The gestalt approach emphasises the importance of the individual’s whole subjective experience at any point in time. This experience includes cognitive, emotional and physical aspects, and it is the meaning that an individual makes of that whole experience (or ‘gestalt’) that determines how they will behave. This approach therefore suggests that behavioural change is not brought about by ‘talking about it’, but by first experiencing how things are now, and then experiencing how things can be different. The essence of the psychodynamic approach is the belief that unconscious forces within the individual determine human behaviour (Kets de Vries, 2006). Many of our feelings, memories and fantasies are blocked from our immediate awareness but nevertheless influence our thinking and behaviour. We need to bring these aspects to the surface in order to enable us not to be prisoners of our sometimes irrational thoughts, behaviours and feelings. By exploring the past and the present of a person, the psychodynamic approach to coaching aims to discover what drives a person – what their motivational needs are. This is important as the psychodynamic approach assumes that sustainable change cannot be achieved without understanding the invisible barriers and root causes that block the change. The solution-focused approach is rooted in the work of brief, solution-focused therapy developed by Steve de Shazer and Insoo Kim Berg (de Shazer, 1982), and the ideas that coachees are more likely to make progress when focusing on solutions instead of discussing past problems. The focus of the session is directed by the coachee, with an action-orientated and goal-focused approach that has similarities to both the goal aspects of behaviouralism and the empathy of person-centred approaches. We have briefly outlined six very different coaching approaches to behavioural change in this guide. There are many others which coaches and change specialists can draw upon. Learn more about the Henley Professional Certificate in Coaching and attend one of our coaching information meetings. Caroline is a Lecturer at Henley Business School. 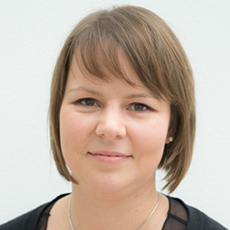 Her research relates to creating healthy and productive workplaces through exploring the links between leadership and well-being in organisations. Caroline investigates in particular how to manage executive stress, how to maintain authentic functioning at work and the role of coaching for creating resilience for positive leadership.